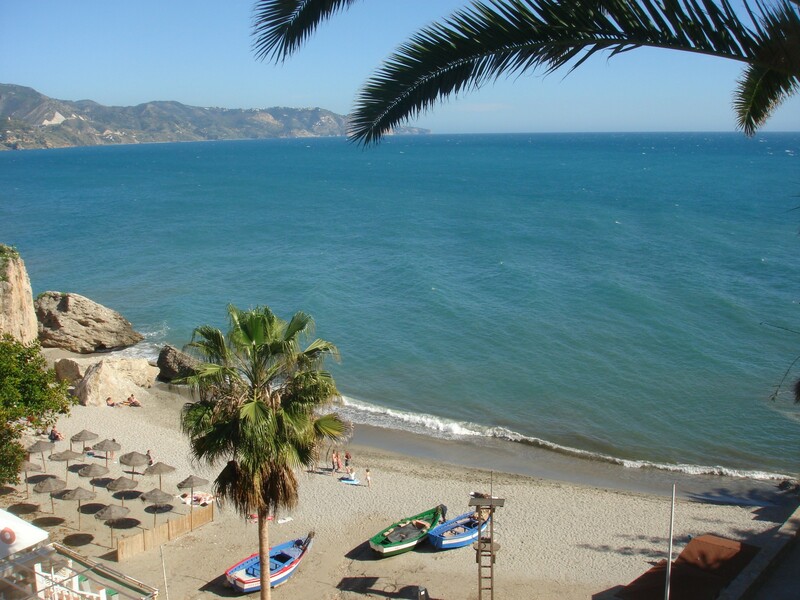 Torrox is near a very high vantage point on the coast called Balcon de Europa. 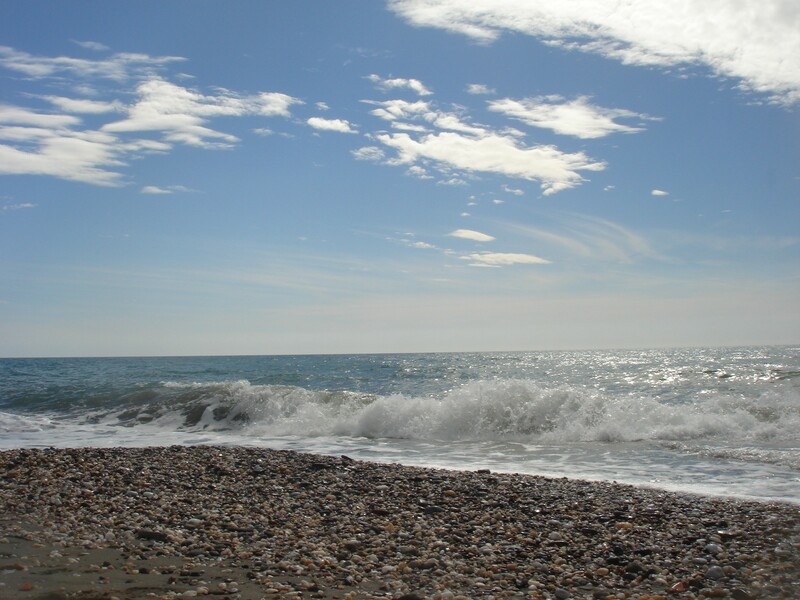 One can see miles and miles of the warm Mediterranean Ocean from the heights. Little fishing boats pull up on the sandy beach below the cliffs and the fresh catch is brought to the local markets. The seafood on the Sun Coast is wonderful. 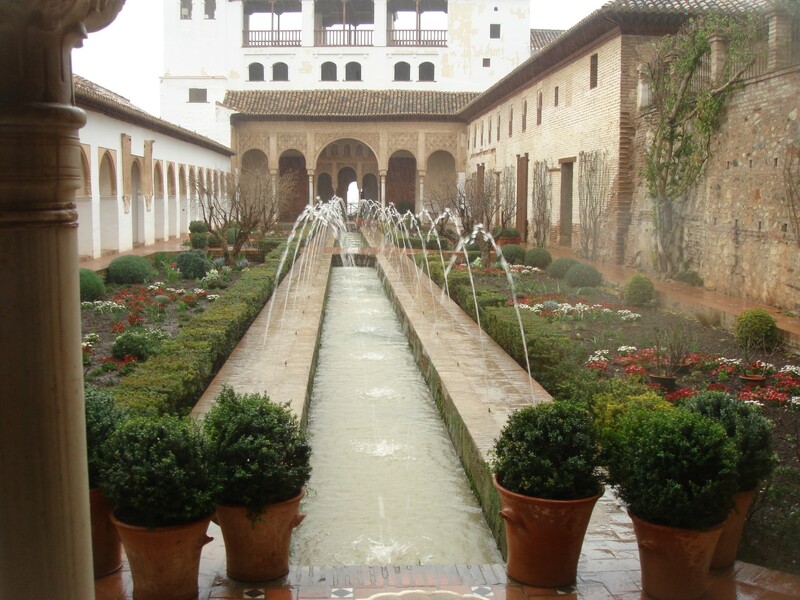 Also near Torrox is the ancient city of Granada and the remains of Alhambra, the residence of Moorish conquerors of Spain. There, I feel better already. 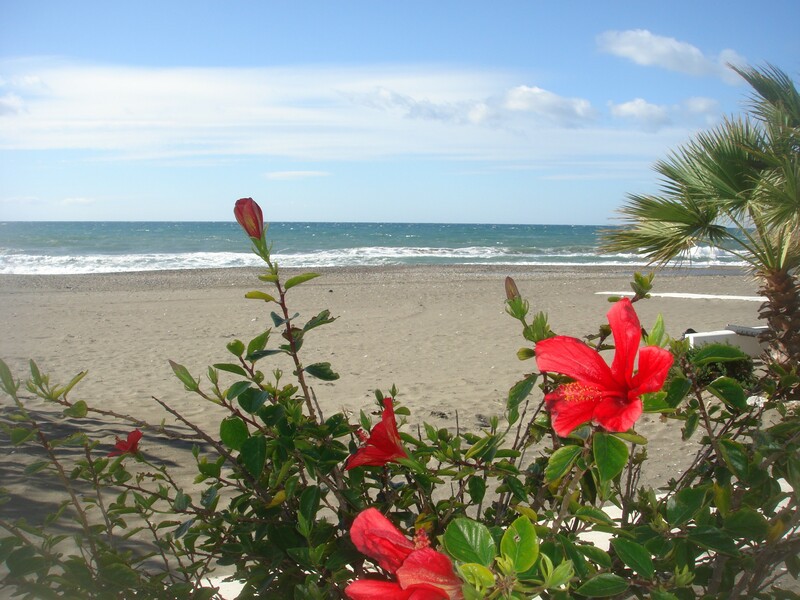 I can almost remember a soft, warm breeze, the cry of gulls and the aroma of tapas sizzling on a nearby grill. 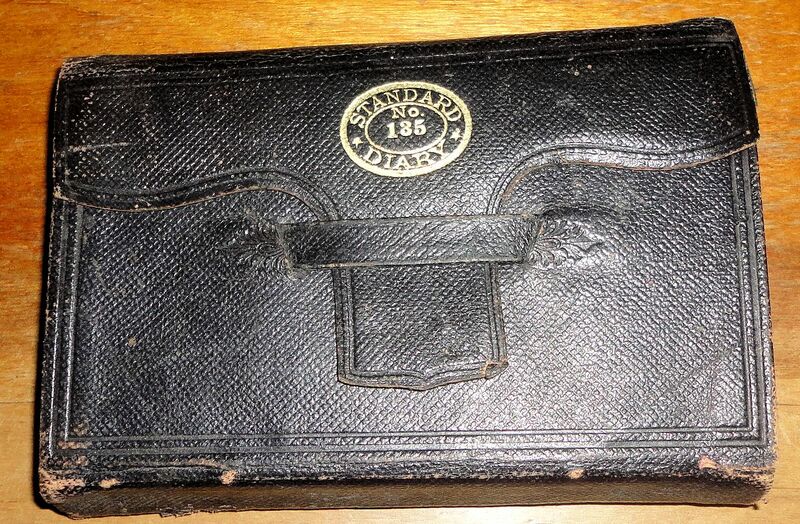 This old diary came from a local antiques auction. It was in a box of odds and ends I purchased, looked like items from some old attic. I bought the box for an antique ceramic bath powder box that was shaped like a little house. The diary was a pleasant surprise, as were several other bits in the box. This is the diary of Belle Gordon from the year 1884. Belle was a girl of fourteen at the time. She lived in a small town in Maine called Thorndike. The town’s population may have been higher in 1884 than it is today. The area is agricultural and off major thoroughfares now that the railway is so underused. During Belle’s time a bustling community provided support for its members and was a daily stop for the passenger train. The diary is written with pencil in a girlish hand, she was fourteen turning to fifteen on June 19th. The days are all faithfully recorded with only a few done after the fact, if she was too sick to write in her diary. One of my current projects is transcribing this diary. The handwriting style takes some getting used to, I have come to recognize the unique ways she forms most of her characters. Still, some words elude me, especially the names of people she knew. I have read the diary through. She speaks of many occurrences in her town. A real flavor for her life develops through the pages. Cooking was done on a large wood stove, with Belle assisting her mother. She did much of the baking. She helps hand sew her own clothes. Wash day is dutifully recorded and involved boiling large quantities of water, huge tubs, hand scrubbing and hanging to dry. Ladies wore full dresses, and men had costumes that included coats, shirts, vests, neck ties and trousers. Washing all this could be a daunting task. I hope to one day have this diary completely transcribed and to use it to write a book for children of Belle’s age. The insights she provides of life for teens at that time could be a real eye opener for our youngsters. There was no tweeting or Facebooking. Belle and her friends kept very occupied with such activities as swinging, sledding, making scrapbooks with pretty pictures they cut from cards, making quilts, and going strawberrying–picking wild strawberries to make preserves. The children walked to their small schoolhouse, and getting a ride in someone’s wagon was an event worth noting in the diary. Belle also recorded local news events: deaths, fires, floods, dances, visitors, including peddlars and even hobos, and when the men worked to smooth the dirt roads in the spring after the mud dried. The year she wrote was a presidential election year and she notes the victory of Grover Cleaveland. With the lack of central heating or air conditioning, weather was of supreme interest then and Belle begins each day’s entry with a weather report. Here is the entry for Jan 22, 1884. As is demonstrated by this short entry, translating the script can be challenging. I’ve worked on this diary as time allows for about two years and have gotten through the end of June. I hope to finish soon and start the process of coalescing the information into a book. Perhaps it will be about a year in Belle’s life, complete with illustrations to bring the Victorian times alive for modern kids. I have been able to find a small amount of biographical information about Belle Gordon. There is a photo on the Town of Thorndike website in the history section that shows a group of children standing in front of a school. It dates to the same time period. I suspect Belle is one of the older girls pictured. I have tried to glean information about this photo from town historians, but the people who had the picture are all passed on now. There is a record in the Unity, Maine ( a nearby town) Annual Report from 1888 of School District #6, that the fall term was taught by Miss Bell C. Gordon, with good success. Length of term 8 weeks. I believe this is Belle. From the addresses Belle includes in the back of her diary, I have surmised that her mother was named Allie (Alvina) and her father was Daniel Gordon, Jr. 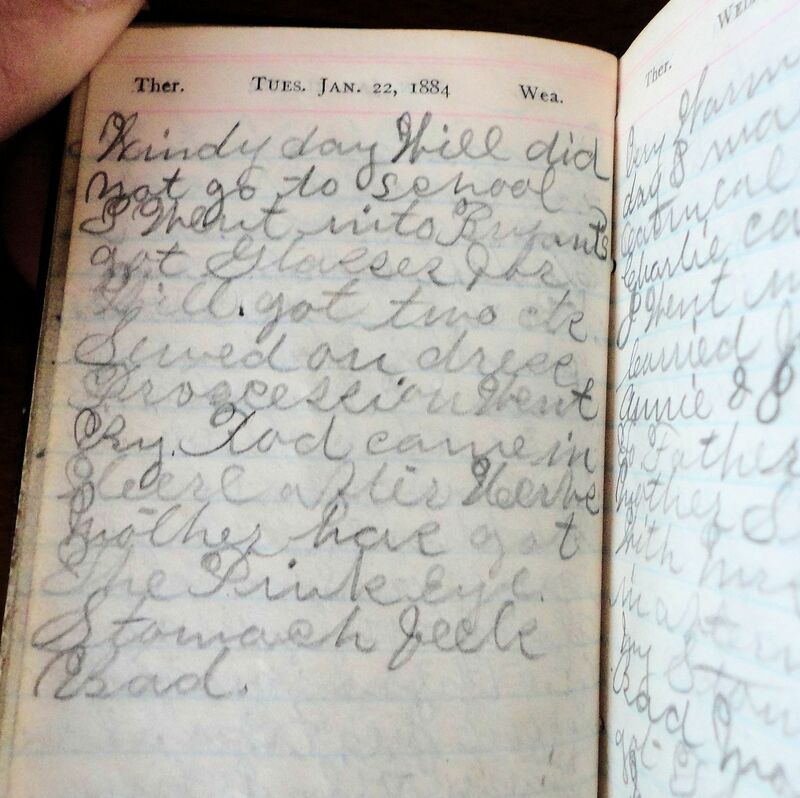 There is a record from a family bible of Allie Gordon, available online as a document of a Moulton family from Maine, that records Clara Bell Gordon being born 6/19/1869, the date Belle gives for her birthday in the diary. The bible also says Belle married Percy Walter Crosby on Dec 18, 1895. They had one child, a boy named Harlan Crosby. Through reading and interpreting the diary entries, I have become very fond of Belle. If this girl recorded in the bible is Belle, as I believe it is, then it is nice to know she lived to adulthood and had a family of her own. I hope in the future to do much more work digging for family information, perhaps making a trip to Belfast, Maine, the Waldo county seat, to look through their archives. I have also promised to donate the diary to the Thorndike Historical Society when I’ve finished with my research. It is a valuable record that should be preserved. 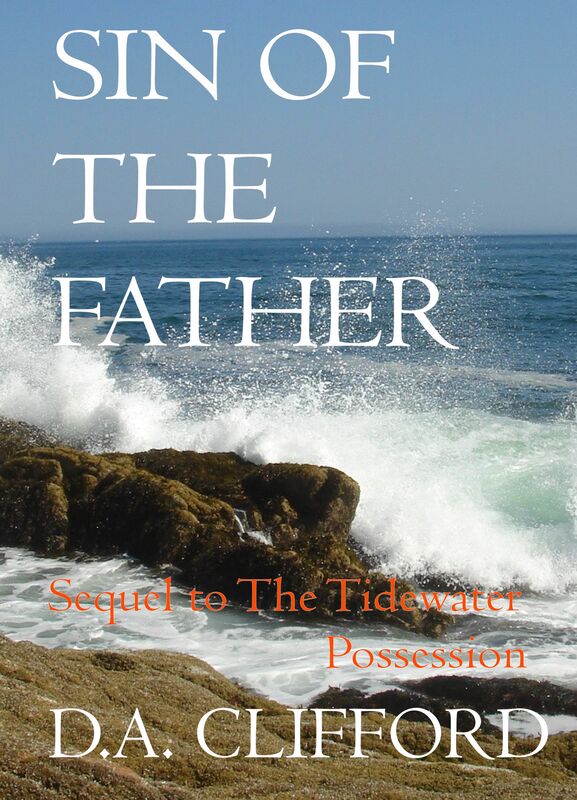 Sin of the Father, the sequel to The Tidewater Possession is on sale now through Jan 21 on Amazon for Kindle. Hurry, this is a Countdown Deal, the sale price increases every day! This entry was posted on January 19, 2014, in Books, Uncategorized and tagged Amazon Countdown Deal, Amazon ebook, cheap ebook, ereader book, kindle book, self-published book. 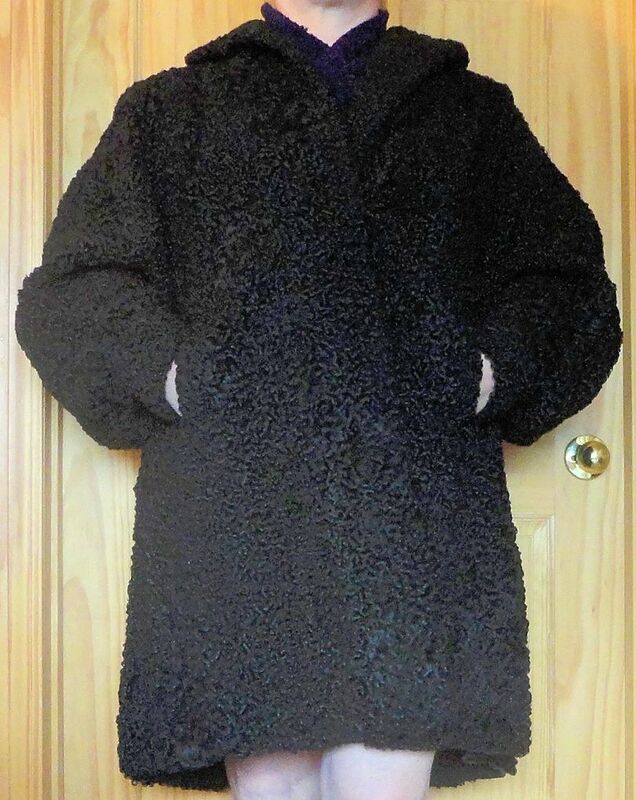 About two years ago I purchased this vintage coat at a local antiques auction. 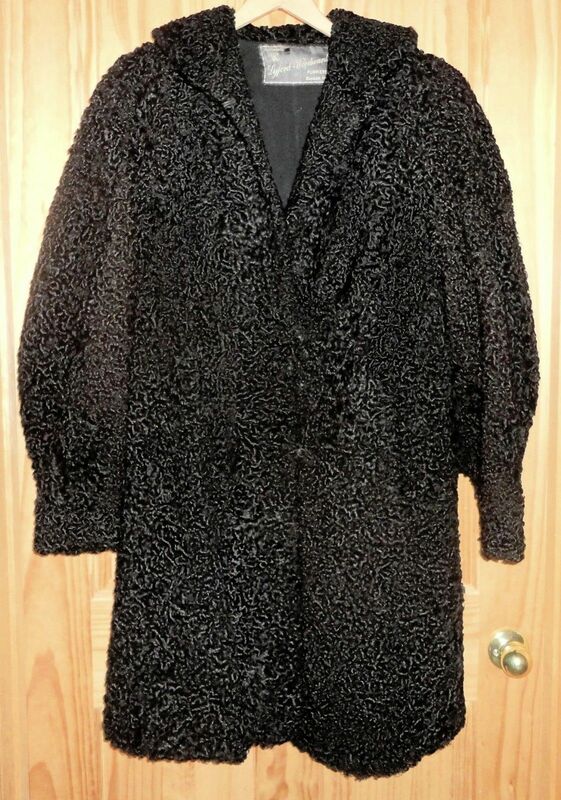 It is lustrous curly black Persian lamb, a luxury garment made by furriers Lyford-Woodward of Bangor and Bar Harbor, Maine. I believe it is from the 60s or 70s. The condition of the piece is impressive, it appears barely worn. I paid all of $15 or less for this beauty. The coat is heavy and very warm and I thought to wear it to dress-up occasions in winter. Well, it’s hung in my closet since I bought it. I finally gave in and decided to sell it. It sold in about two weeks on eBay for $180. Pretty good return. England was conquered by the Romans in A.D. 43. Signs of the Roman invasion remain in many places. Near where my mom lives in Kent, there is a place called Reculver. 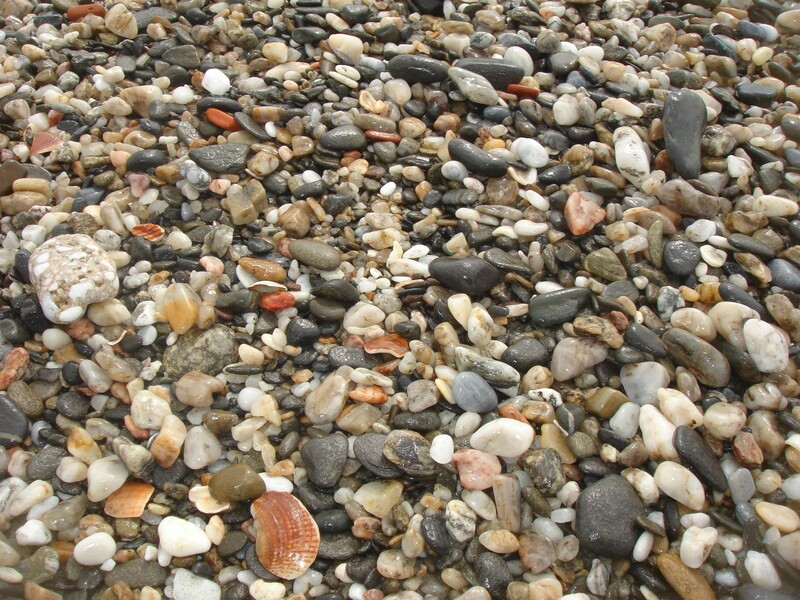 At one time, the entire area was the island of Thanet, surrounded by sea. The Romans built a fort on headlands overlooking the water around A.D. 300. It is believed a harbor existed there and the area required defense from the Celts, who itched to overthrow their foreign lords. 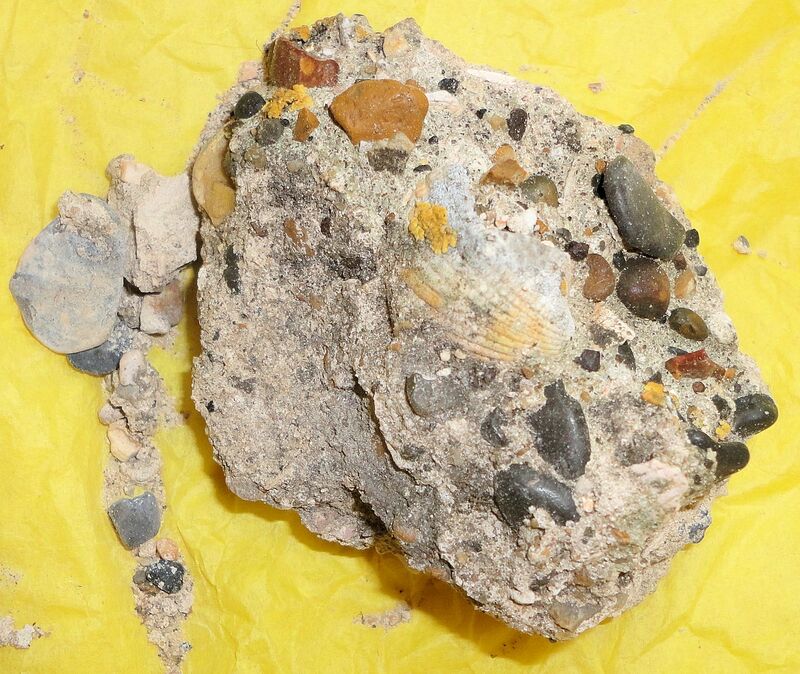 Below-ground evidence exists of a fort, barracks, a bath and a headquarters building. All that remains visible of the Roman works is the southern wall of the fort, standing as high as nine feet in some places. Constructed of locally made concrete and once faced with stone, the wall is now greatly eroded and slowly falling back into the earth. 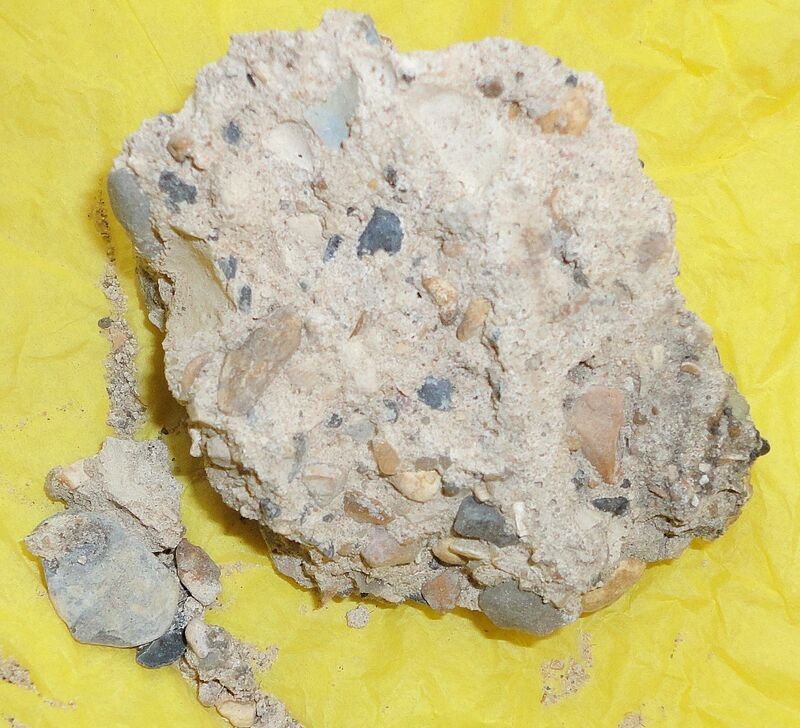 I collected this sample of Roman made concrete from the ground at the base of the wall. Its composition perfectly matches the standing rampart and I could even find the spot in the wall where it broke away. 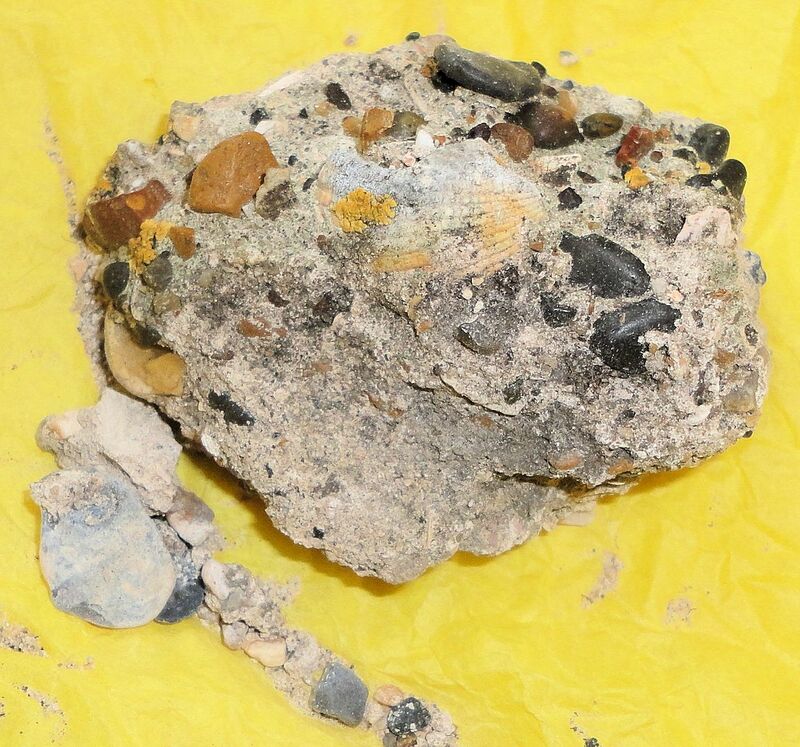 This concrete is a fascinating mix of sand, small stones and shells held together with limestone adhesive. Today the place is quite lonely and always windswept. The harbor and channels that separated Thanet from the mainland have all silted in. The violent Atlantic slowly works away at the cliffs beneath the ruins. One day it will all be gone. The most arresting monument there today is the remains of a 12th century church built on the site. Two tall, square towers dominate the landscape and can be seen from many miles away along the coast. The church and the even earlier monastery that existed there after the Romans left are now all ruins as well. 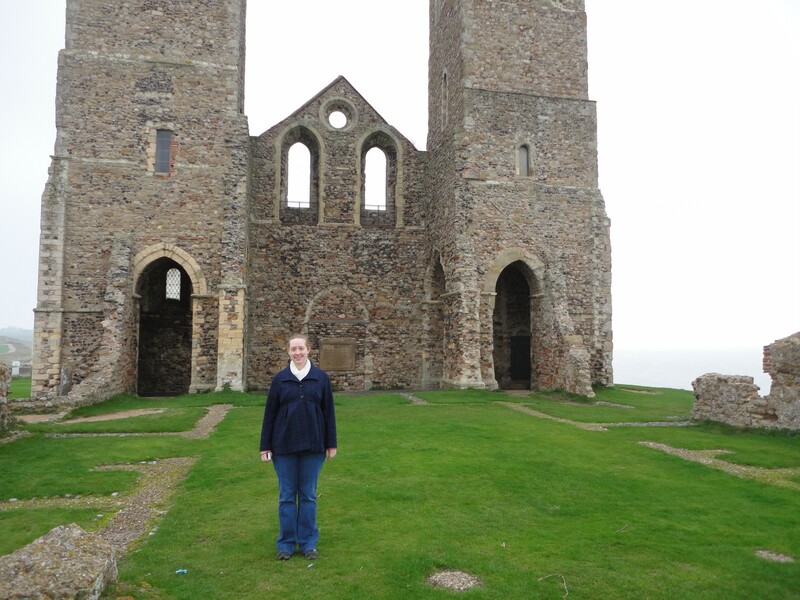 My daughter, very pregnant, standing inside the remains of the Norman church at Reculver. These towers can be seen for miles. 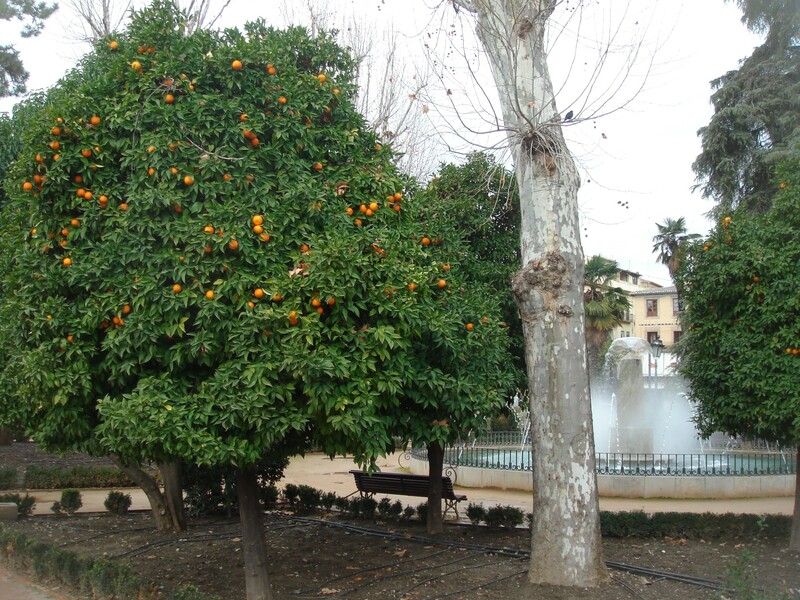 Still, I enjoy visiting there, imagining life as an Italian far from a sunny home, garrisoned on a hostile shore. Holding the bits of crumbling concrete, I think of the hands that nearly two thousand years ago smoothed this liquid concretion into place. All slowly falls to dust and wild rabbits make warrens where once Roman soldiers tramped. This entry was posted on January 15, 2014, in Family, Travel, Uncategorized and tagged ancient concrete, archeology, England, English Channel, history, Kent, Reculver, Roman conquest, Roman invasion, Roman ruins, Romans, Southern England, Thanet, travel. 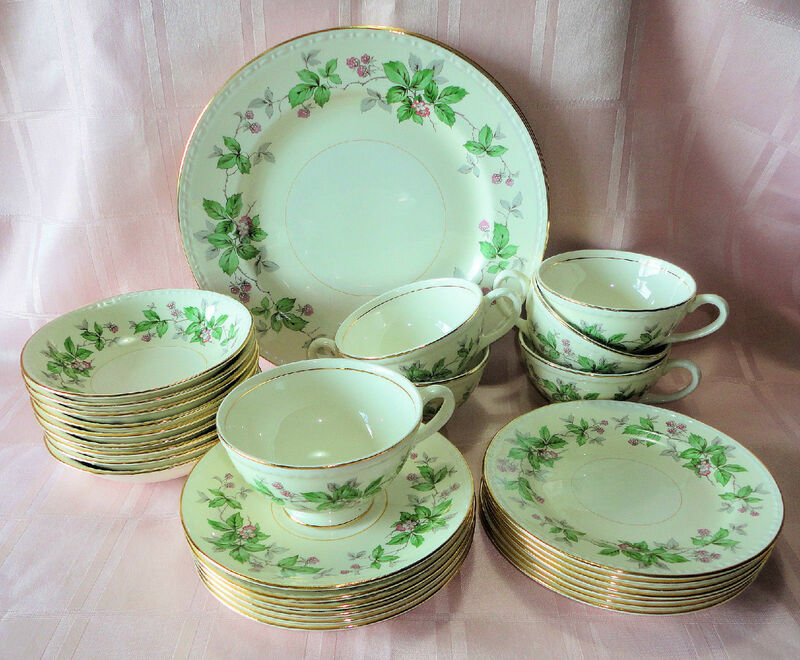 Another great find, this set of thirty pieces in Homer Laughlin Co. Greenbriar pattern, a Georgian Eggshell form, very fine, thin china with a pretty transfer pattern of blackberries and gold trim on a cream background. The dishes date from the 1940s and are in wonderful shape. I picked the set up for less than fifteen dollars and just sold it for sixty-five. It is probably worth more, but why be greedy? I like to turn things around quickly. Now I have to pack it all up to ship tomorrow. Finding small treasures like this for resale is very exciting for me and keeps me going back to second hand and thrift stores, auctions and yard sales. It’s an adventure that provides a part-time income and lets me be my own boss. So far, this winter has been trying our mettle here in Maine. 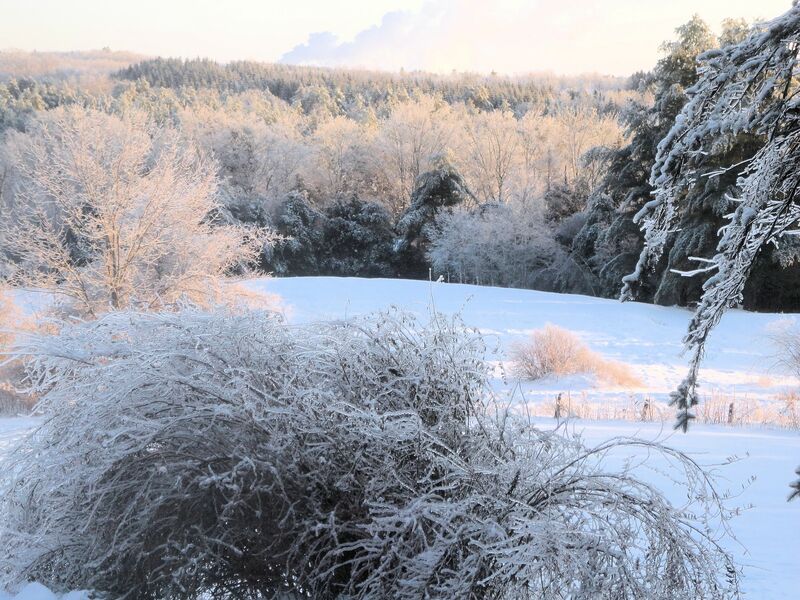 An ice storm right before Christmas deposited 1/4″ of ice on every surface, coating branches, weighing down trees and causing power outages. Bone cracking cold followed with the thermometer plunging to 20 below zero F four nights ago. The farm animals needed extra care that night to stay warm. The thermometer didn’t budge beyond 4 degrees during the daylight hours for several days. One bright note: on the coldest day of the winter, one of my pullets began laying and we got our first egg from the new hen flock. It was frozen and cracked before I found it, but still made a lovely fried egg sandwich. Another little hen has joined in, her first egg is pictured to the right. We’ve gotten three new eggs. The pullets were on the nest when I did chores this morning, so more eggs should be waiting for me. 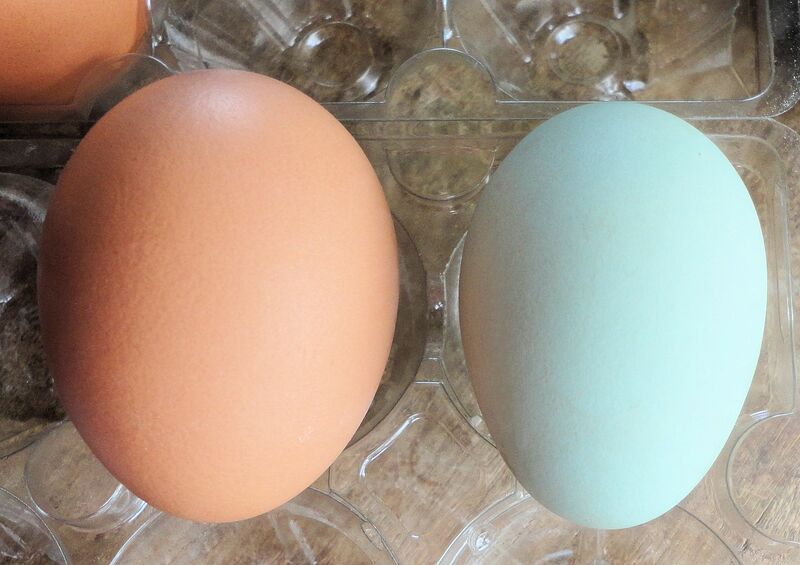 I’ve been expecting the laying to start for nearly two months now, so the relief of no longer having to eat store-bought eggs is immense. Yesterday, the temperatures climbed to a shocking 42 degrees and the rain poured all day. Finally, the ice burden was relieved from the poor trees, power lines and roofs. 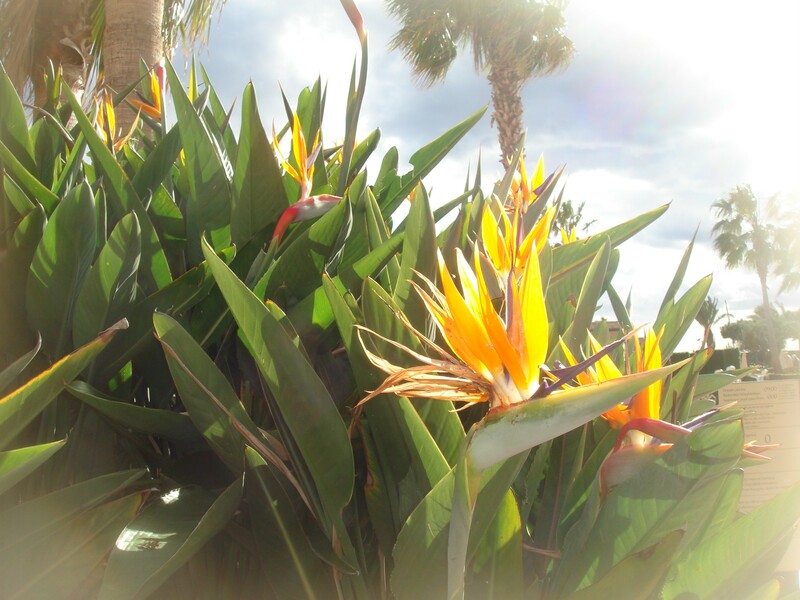 One’s body becomes so accustomed to the cold that 40 degrees feels tropical. Much of the country is now dealing with an “polar vortex” that is swirling arctic air all the way into the deep South. Brrrr. Luckily, Maine will be spared what the Mid West is enduring, wind chills to 40 and 50 below zero. The Jet Stream must be flowing directly over us because the endless, constant, dull roar of high level winds drills its way into the house and slowly, over the hours, drives me crazy. Time to play some music to drown it out. Spring, sure hope you hurry, or at least the January thaw!